Stop by the Lake District Museum and Gallery, one of the country's most beloved small museums, for a look at early life in Otago. 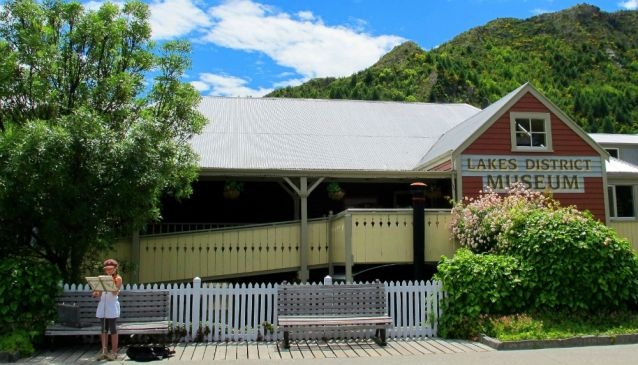 Located in the old mining settlement of Arrowtown, the Lake District Museum and Gallery was built in 1948 to share the history and culture of the region with visitors and locals alike. The museum uses hand-on exhibits to share information and relics of history from pre-European Maori life, to the first European settlers to the gold rush. Set in the old Bank of New Zealand building in downtown Arrowtown, the museum strives to paint an authentic picture of the past and is a great spot to get a feel for the history of the district.